Cybernetic Walrus is currently working on a new WipeOut-inspired anti-gravity racing game called Antigraviator. Antigraviator will be using the Unity Engine, is scheduled for a Q2 2018 release, and Cybernetic Walrus has released a brand new teaser trailer for it. Antigraviator is the latest in a long line of anti-gravity racing games to come to consoles. Antigraviator, a high-octane racing game from Cybernetic Walrus and Iceberg Interactive, will come to PC, PS4, and Xbox One in Q2 2018. Iceberg Interactive and Belgian-based studio Cybernetic Walrus announced today Antigraviator, an anti-gravity racing game in the vein of Wipeout and F-Zero that’s set to launch in Q2 2018 for PC, PlayStation 4 and Xbox One. Publisher Iceberg Interactive and developer Cybernetic Walrus have teamed up for fastest antigravity racing game ever made. 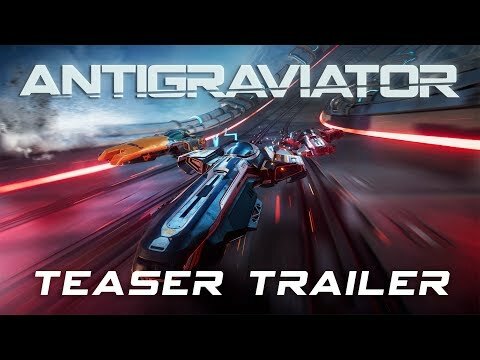 Antigraviator is scheduled to launch in Q2 2018 on Xbox One, PC, and PlayStation 4.Publisher Iceberg Interactive and developer Cybernetic Walrus have teamed up for fastest antigravity racing game ever made. Antigraviator is scheduled to launch in Q2 2018 on Xbox One, PC, and PlayStation 4.